Just as Google’s Android operating system has disrupted mobile rivals, I think AngelList will do the same to most incumbent venture capital firms and put some out of business unless they make significant changes. This tectonic shift will have major ramifications for both investors and entrepreneurs and we better fasten our seat belts! In my opinion, Android’s meteoric growth can be attributed to three key factors: open platform, modularity and network effects. Open/Free: The fact that Android was open and free to use significantly lowered the barriers to adoption for OEMs and made it a compelling option compared to the alternatives (license or in-house). Modular: Android’s modular and flexible architecture allowed OEMs to augment the operating system to suit their needs and innovate on design, form factor and functionality. This encouraged healthy competition even within the Android ecosystem and prevented all Android-based phones from looking the same. Network effects: Android has built a thriving developer ecosystem around it. As the number of developers on the platform increases, it gives OEMs (and users) even more reasons to adopt Android. Of course, market timing was also crucial to Android getting 75 percent market share, as measured by Gartner. As users were starting to spend more time surfing the web on mobile, original equipment manufacturers (OEMs) were keen to ship cutting-edge web-enabled devices. Android made it easier and more efficient for them to do so. AngelList is adopting a very similar strategy and I assert that it will become the unifying “Android platform” of the venture community. Here’s why: AngelList does not cost money to join, has a modular architecture and exhibits strong network effects. And the fact that both the number of early stage companies looking for funding and investors looking to seed those companies has increased substantially makes the timing perfect. 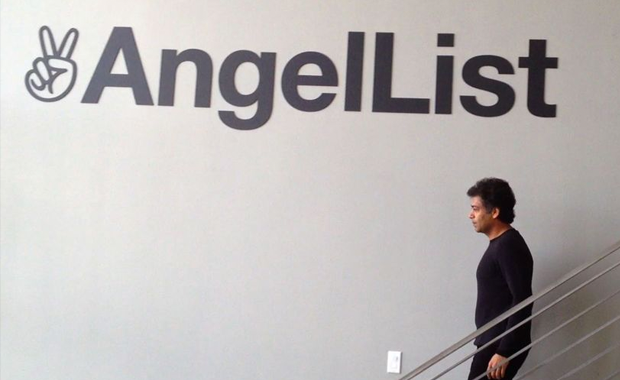 AngelList is an open and free marketplace for startups and investors. Accredited investors and entrepreneurs can connect with each other without spending a dime. Yes, AngelList founders Naval Ravikant and Babak Nivi do some curation at this point, but my guess that it is only an interim solution until the platform reaches escape velocity. Long term, I can see AngelList becoming a vibrant and thriving community that is entirely democratic and promising entrepreneurs can easily connect with credible active investors, for free. If you are an investor just starting out, your time and energy are better spent on AngelList than building proprietary deal flow. If you haven’t already, checkout AngelList’s applications programming interface section. The product has been clearly designed to be a platform, not just a destination. Through the API you can access pretty much any information about a company, including who’s following it, jobs posted and what reviews it has received. AngelList recently launched a product called Syndicates, where anyone can become a VC and invest on behalf of LPs. Talk about disruption! Moving $10 million/month offline through intros made on AngelList and $2 million/month online through AngelList. If you do the math, that’s almost $150 million/year going through AngelList, more than most funds invest in a year. Based on anecdotal evidence, most early stage companies that are receiving financing have a profile on AngelList. And why wouldn’t they? More visibility means more potential investors that will probably result in quicker fundraising at better terms. Even better if you can garner strong social proof. Worst case, it’ll help you recruit team members. Of course, there is no reason that these companies will not tap AngelList again for their future rounds of funding. So what should VC firms and entrepreneurs do if AngelList does become the “Android” of venture capital? First, don’t be in denial! If you are a VC, make sure you have an AngelList profile and are actively using it. If you are an entrepreneur that’s raising money (even if you have done this a million times before and will have no trouble raising!) you should invest in building a strong AngelList profile. The only good excuse to not be on AngelList is if your company is in stealth mode, which to be honest, is only applicable to a very few of you. And, second, VCs should build on their strengths and leverage the platform to create and offer value. Facebook has not created their own mobile OS, but instead uses the massive distribution that Android and iOS have to reach its audience. OEMs such as Motorola and Samsung have prioritized Android over their own proprietary platforms. It allows them to focus on what they do best and offer differentiated value. In my opinion, the fact that BlackBerry builds its own OS (and hence needs developers to do extra work) is holding it back and preventing it from leveraging its strengths. The venture industry moves slowly because of long fund cycles (typically 10 years) so I don’t expect these changes to happen overnight. This will take at least five years, perhaps even 10. But I am confident it will happen sooner rather than later. And smart VCs will adapt and evolve before it’s too late.In a similar fashion, VCs should leverage AngelList’s deal flow, curation functionality and rich information base instead of reinventing the wheel. Starting from that baseline, they should offer value-added products to augment the platform and effectively differentiate from other investors. These “products” could range from unfettered access to other entrepreneurs in their portfolio, their speed in making a decision or their ethos around being founder-friendly. If you are an entrepreneur, you should make sure your investor has a differentiated product that goes beyond just capital. What is it that they do that’s better and different from everyone else? And how valuable is that to you?